1. 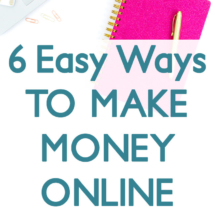 Make your money work for you. Ok, this won’t make you a TON right away, but it’s so so important. Take a look at how much interest your savings account is earning. Probably .01% like I was making. Yikes. I never used to pay attention to interest rates on my accounts, and that was a HUGE mistake. I could have been making 200 TIMES more money in interest each year with a high yield savings account . Online banks almost always have the best rates, and I recommend CIT Bank because they currently offer 2.45% and they often raise this higher so they stay above the competition. 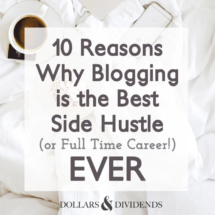 We’re talking about the difference between $5 and over $1,000 in interest. Or $50 and over $10,000! And thanks to the magic of compound interest, this extra cash will continue to grow exponentially. 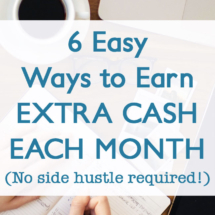 It’s definitely better to be earning dollars than pennies each month! 3. Use a cash back card. I usually get up to $50 a month through my cash back card. 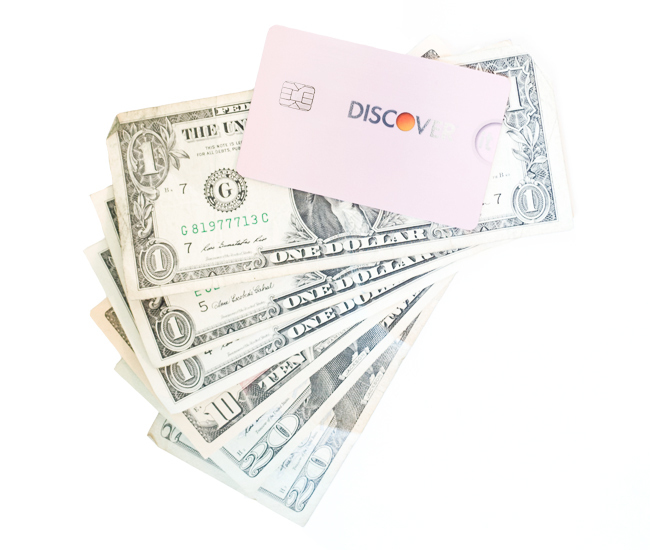 Discover’s It card is my top recommendation. You get 5% back on rotating categories each month like gas, hardware stores, Amazon, and restaurants plus 1% cash back on everything else. They’ll even double your cash back for the first year! You’ll also get a $50 bonus for signing up through this link. In addition, there are extra perks like return guarantees, price protection (they’ll refund you the difference if the item you bought just went on sale), extended product warrantees, and refunds for purchased products that get broken or stolen. 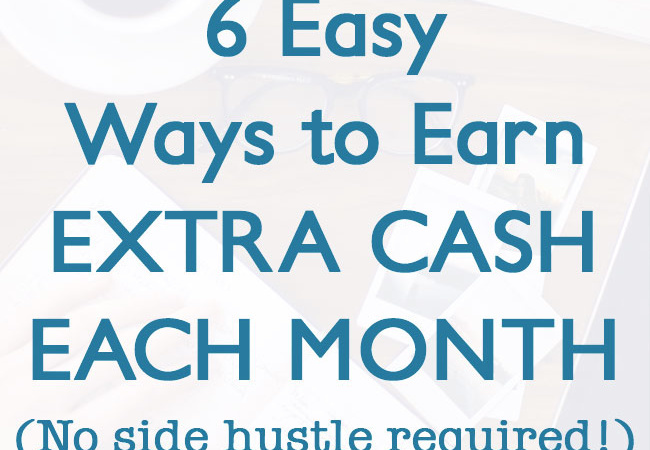 Get the $50 cash bonus. 2. 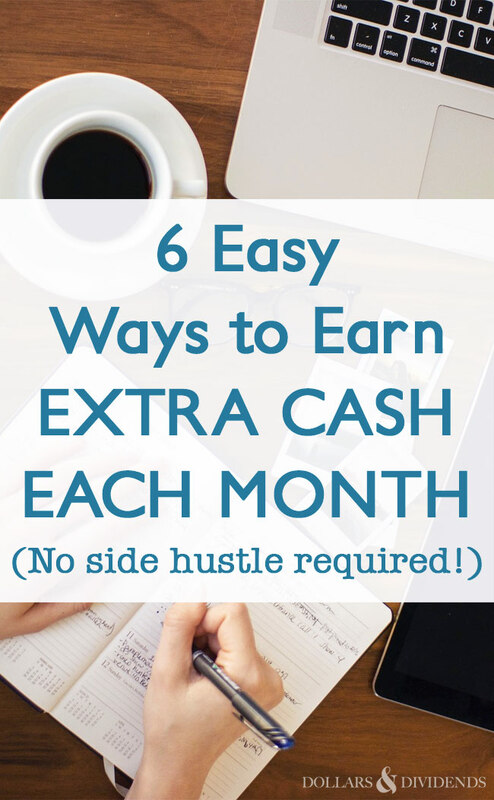 Use Ebates to get cash back when you shop online. I was an Ebates hold out forever which was incredibly dumb because they’ve already sent me a check for $20 in my first two weeks! 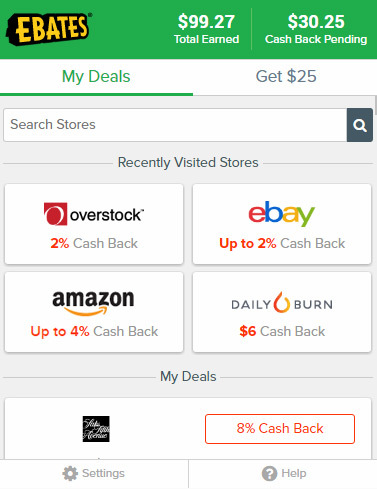 Basically, any time you want to shop online, activate the shopping trip in Ebates and you’ll get around 2-10% cash back (some stores are as high as 20% cash back!) Get $10 free from signing up through this link! 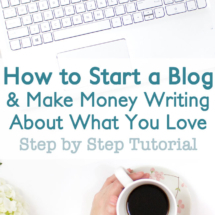 I’ve already made $130 in just a few months! 3. Get paid for taking online surveys in your free time. Take surveys on your phone while waiting in line or on your computer while you’re watching TV. 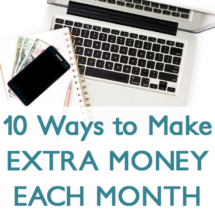 You can usually find surveys paying a few dollars each, and this will really add up! 4. Watch videos for cash. In addition to surveys, Swagbucks pays you for watching videos. Seriously! I like to have these on in the background while I’m cleaning or working on my blog. 5. 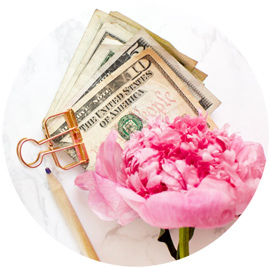 Get paid for doing your regular shopping. Ebates is great for online shopping, but what about the in-store shopping you do each week? That’s where Ibotta comes in. You simply download the app (get a bonus $10 when signing up through this link! Use code HQLCTLT to get your bonus. ), browse rebates for items you plan to purchase, select the rebates you want, shop!, and then take a photo of your receipt. The rebate will instantly be credited towards your account and you can redeem your rebates through Paypal or gift cards. My favorite thing about Ibotta is that you can use these rebates on top of coupons and store savings apps like Target’s Cartwheel. You can earn a few dollars back on each item doing it this way! Another way to earn cash for the shopping you already do is through Shopkick. You get credits for simply walking into a store, and you can redeem these credits for cash. You can earn additional credit by scanning items and uploading a photo of your receipt. This is a big one! Investing sounds scary, but it’s actually pretty simple. The thing to remember is that there are always gains and losses when it comes to stocks, but you really can’t beat it in terms of growing your wealth. The average year after year return is around 10%! And yes, that figure counts recessions and depressions! It’s a good idea to have your long term money (think retirement) in stocks and bonds. 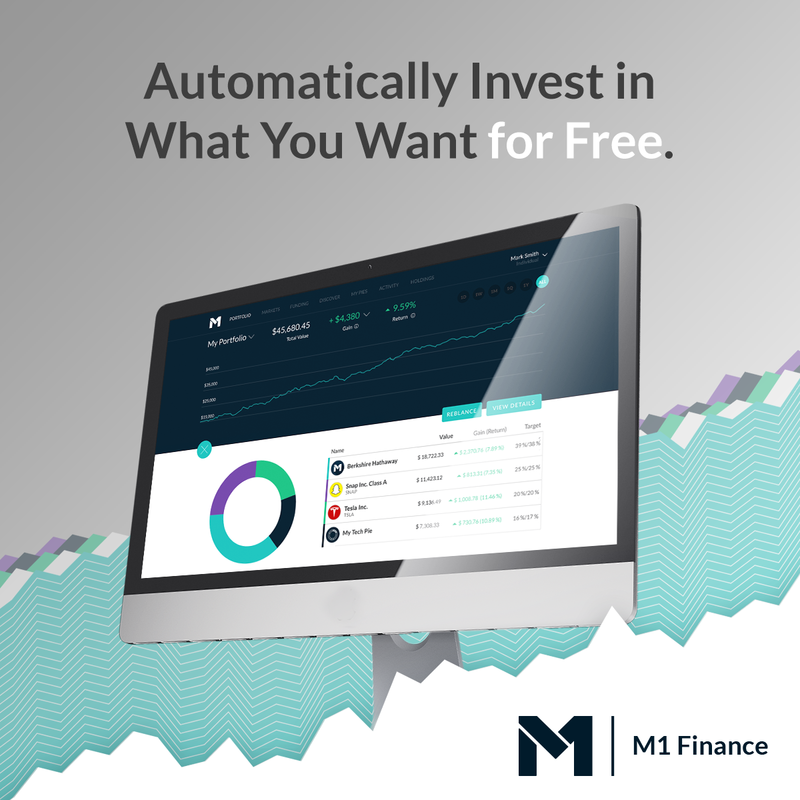 I recommend using a firm like M1 Finance because they are comission-free, offer inde funds, and allow you to completely automate your deposits and portfolio. 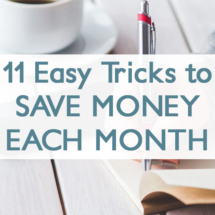 The longer you keep your money in these accounts, the more opportunity they’ll have to grow into a nest egg that will give you financial freedom.